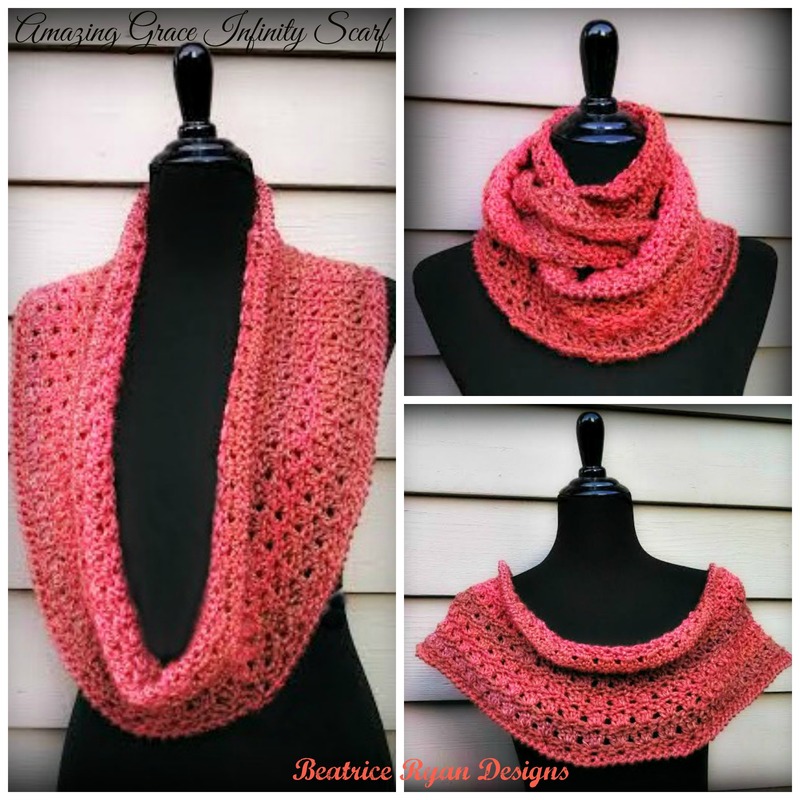 Amazing Grace Infinity Scarf ~ Free Crochet Pattern!! 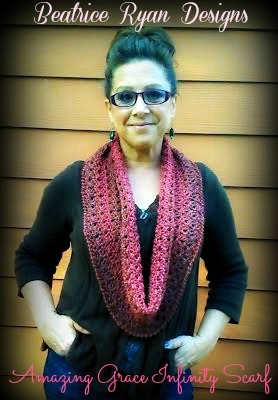 The Amazing Grace Infinity Scarf is the 11th free pattern in the Amazing Grace Series!! This is a versatile pattern that can be worn in may ways! You can be warm and cozy while still being fashionable!! If you love this pattern… You can save it to your Ravelry favorites and queue……Click Here! Join to the beginning with a Sl St… Being very careful not to twist the chain! Congratulations!!!! You have completed your Amazing Grace Infinity Scarf… Enjoy! ©Copyright 2016 Elena Hunt/Beatrice Ryan Designs. All of my patterns and posts are my own work. Do not copy them in any way. If you want to share this information with someone, share the link to this post. If you want to share on your own blog, website or social media, then you may use the first photo in this post and link back to this post. You may not give away printed copies of this post. Thank you. This post may contain affiliate links/ads. If you purchase something from a link in this post, I may be compensated. Thank you for another great pattern, just awesome! I really love the colours here– some of my favourites! Thanks for sharing a great pattern! beautiful pattern! 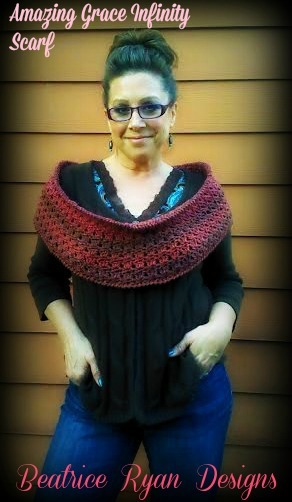 love that you shared the pattern for your amazing grace infinity scarf pattern too. I can see making this in so many colors!! Thank you Lorene!!! That means alot to me!! Love the pattern. Can’t wait to start one. Thank you for sharing. Thank you for the gorgeous pattern. FYI, your “add this to your Ravely queue” is broken — it just brings you right back here. Thank you!! All fixed with the link!! Love this! I have the perfect yarn for it, too! Thank you! Thank you for posting! What a nice way to pay it forward, thank you.